To help your overall shopping experience while on the Gracie website we have included some information regarding the measurements of our garments. INSIDE LEG: Measure from top of inside leg to the floor, match this measurement leg length we have, available add on 3cms if you wish to wear heels. 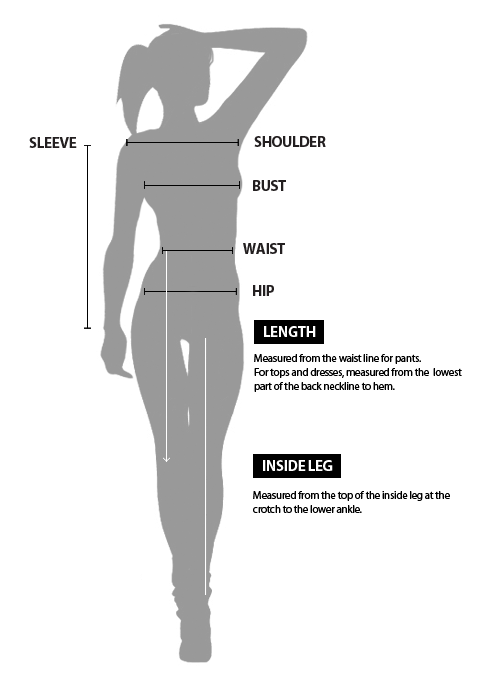 To work out the length of dresses, skirts and trousers use our mannequin as a guide.